Digital capture; still life. An advertising piece for my studio portfolio. 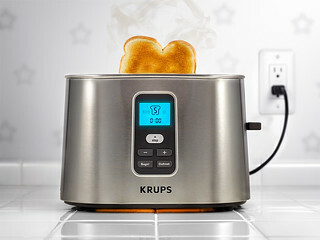 Found this awesome toaster at The Great Indoors while looking for flatware. It has a LCD! I couldn't resist. Set is a custom build.